Nikki’s Studio is the publishing label for knitwear and crochet designer Daniela Nii. I’m a freelance designer, technical editor, instructor, writer, translator, and software engineer. I just love working with my hands and I am a proud multi-crafter since childhood following in the footsteps of my crafty mom. I learned to knit, crochet and sew in elementary school back in Switzerland but have lived now for more than 20 years in the US with prolonged stops in Hawaii, Southern California and Colorado where I currently can be found exploring the grandiose nature of the Rocky Mountains and the Plains with my husband and two young boys. With every crafting project I seek new challenges, want to learn something new, constantly adding to my diverse range of techniques to produce designs that highlight classic lines, simplicity and elegance. My designs have been published in major knitting and crochet magazines like Interweave Knits, Knit.Wear, Crochet, Vogue Knitting/Designer Knitting (European sister publication), Noro Knitting Magazine, Creative Knitting, Knit Simple, and Twist Collective, as book contributions, with online magazines, and by yarn companies like Shibui Knits, Malabrigo, Kollage Yarns, Universal Yarns, and the Alpaca Fiber Cooperative of North America (AFCNA), and if time allows, I self-publish some of my designs. 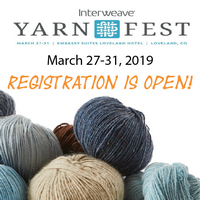 I also work as a regular freelance technical editor of knitting and crochet patterns for Interweave, Craftsy and independent designers, love to teach workshops at national fiber festivals and enjoy sharing my knitting and crocheting expertise in technique oriented magazine articles. 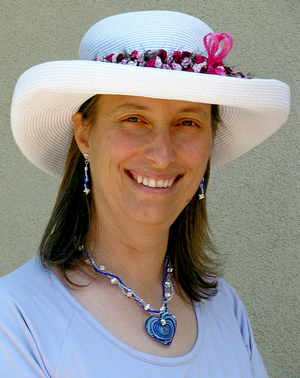 I am also the founder of the Mile High Knitting Guild in Broomfield, Colorado, and the website www.LocalFibers.com, an online US and Canadian fiber resource directory connecting fiber producers with fiber enthusiasts. There are already over 500 confirmed providers listed with many more waiting in the wings… Hop on over and see what local fiber provides are in your area – or – if you know of one in your area that is not yet listed, have them submit their info (it’s FREE!) via the online submission form. Feel free to contact me for design work, technical editing, teaching, or translation work (German – English) via the Contact Form here on the website or via one of my social media channels. I LOVE hearing from you! Happy Fiber Adventures to You All!